I gave Ara some time to cool off before I had to break the news that Tessa didn't qualify as heir. Ara's face was flat when I told her. "Of course she doesn't." She just nodded. She seemed a little too calm about the situation. But you know, whatever encourages her to get the job done. 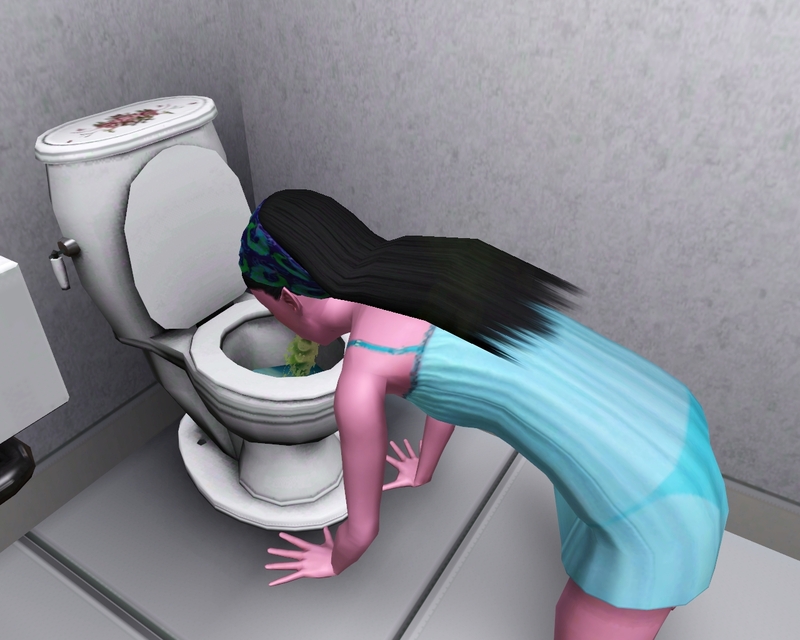 Thankfully she was happily running for the toilet the next morning. "HAPPILY?! You think I ENJOY this?" Ara said as she finished throwing up. 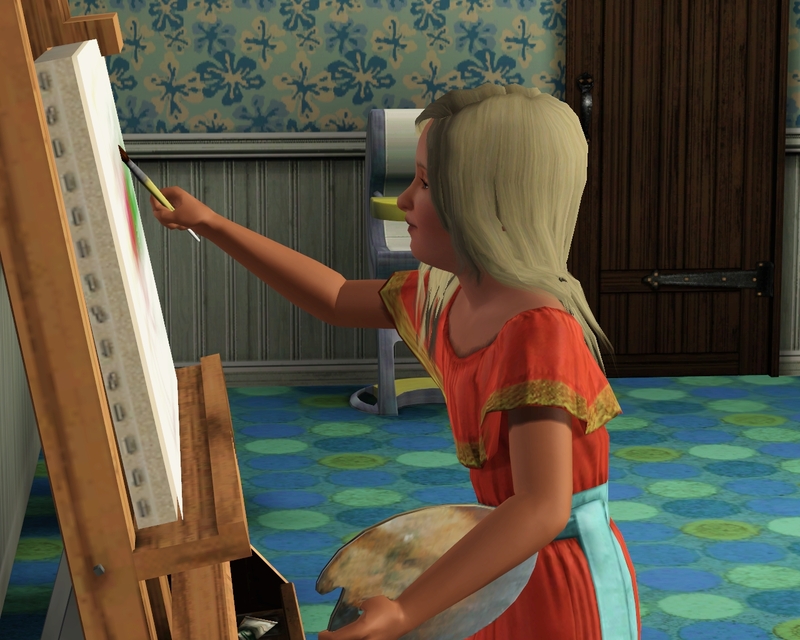 Moving on anyways, Izzy was busy being the awesome adoptive daughter and painting a lot. Did you get any sleep last night with Tessa's crying? "I slept like a rock." Oh my, you're a godsend. Heavy Sleeper, Lucky and Family Oriented. Why can't you be heir? "You know, I was wondering that exact same thing myself." Err... let's not get too attached to the idea. 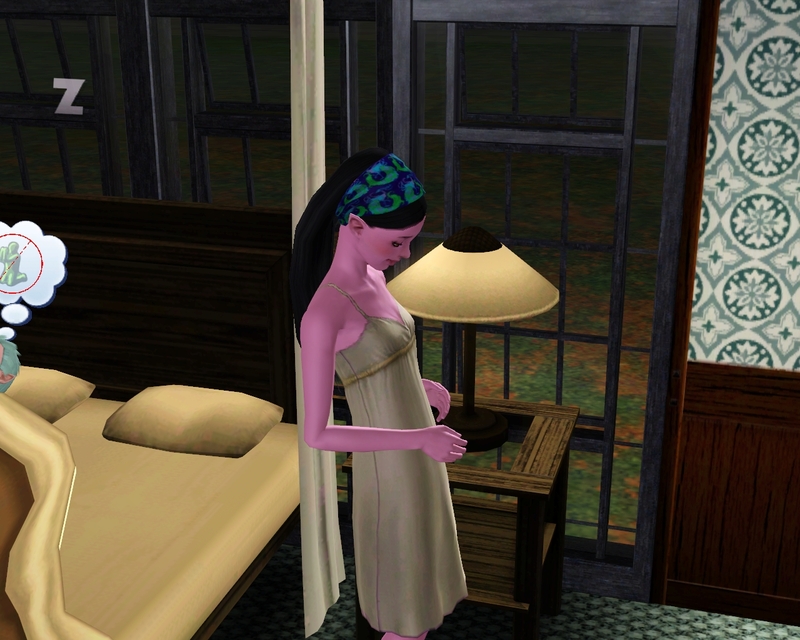 You'll see, Ara's even starting to show now so the real heir is on their way. Shortly after that, Ara completed her lifetime wish. "Wooohoooo! No more gardening right?" Wrong. Clean that garden out and plant EVERY LAST RED BERRY BEAN SEED YOU HAVE! 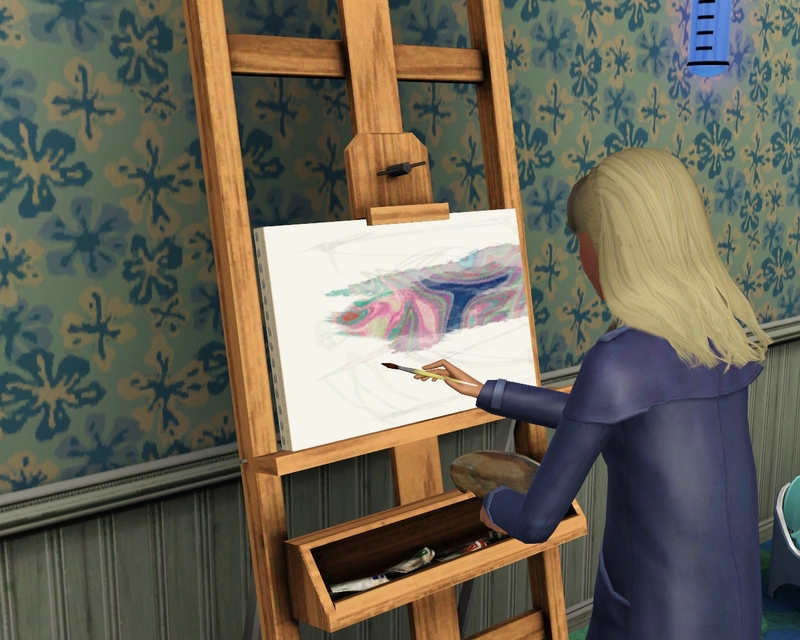 You need at least 14,000 more simoleons before you can make it to level 8 in your career. That's just LEVEL 8. We need 10! Do you hear me? 10! 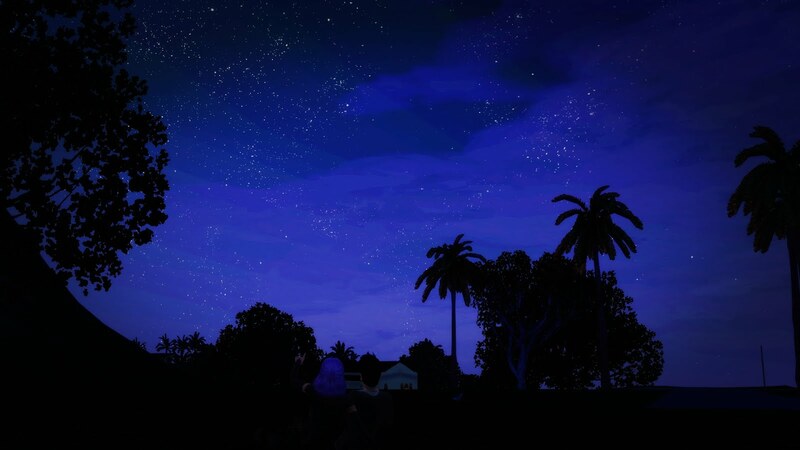 "Can't we just call it a day?" Nope! Now stop complaining! Life is way too short for you to complain! "That's your excuse just to get us to shut up, isn't it?" Did it work? - No, of course it did! 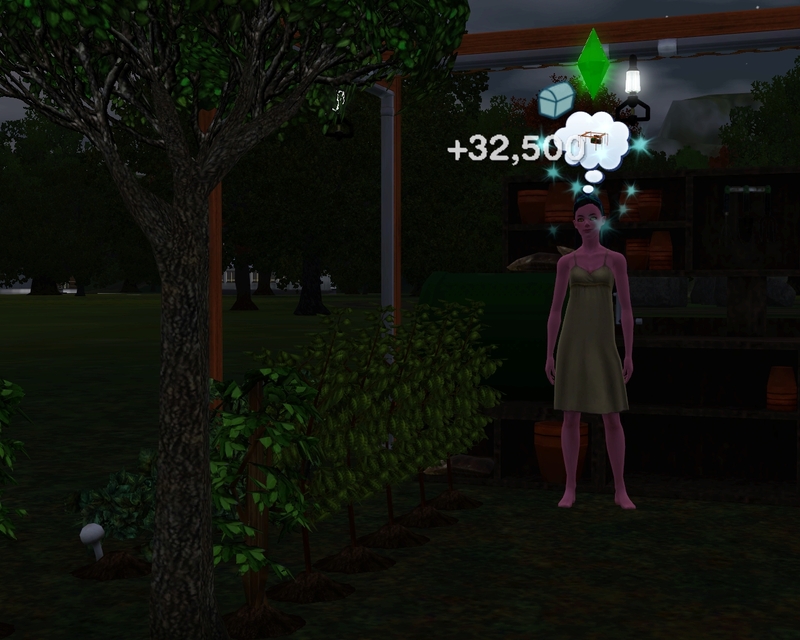 Back to work you silly Sims! Mush! Mush! 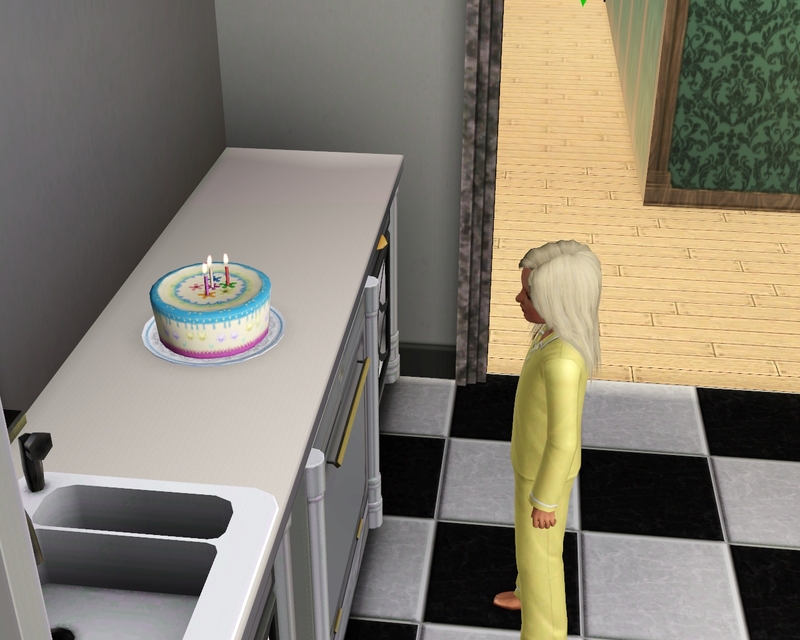 Anyways, we have a double birthday! No surprise there, given how short the stages are on the short lifespan you'll likely see a birthday (or seven) every update. 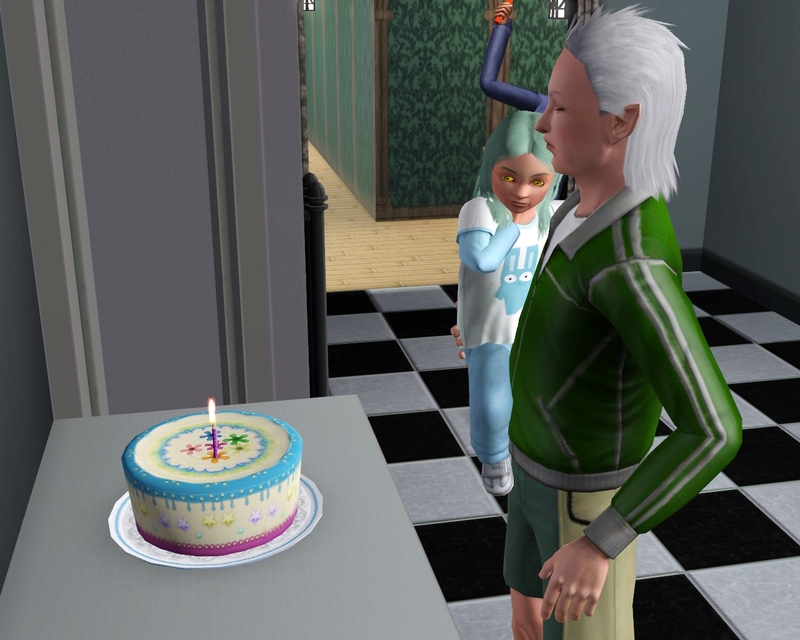 Heck, this is like the birthday dynasty! So Tessa and Izzy take to their cakes. 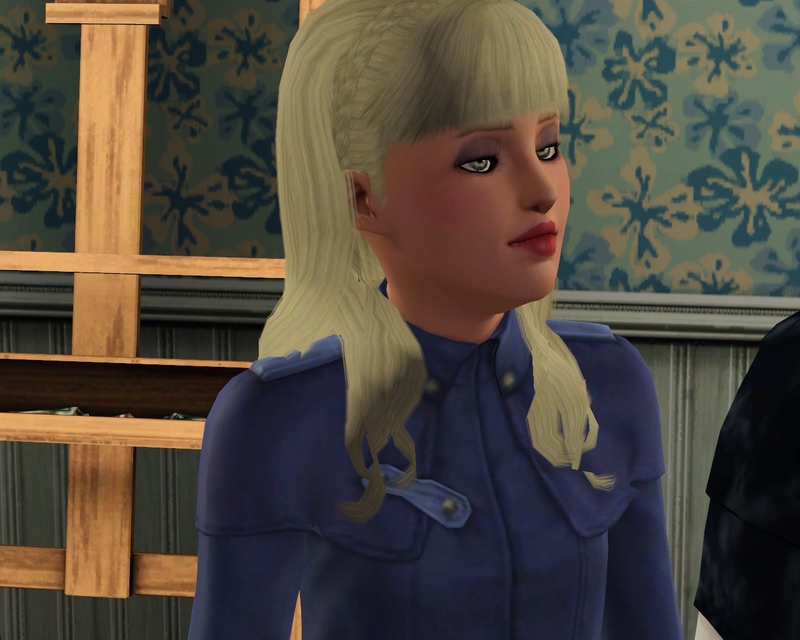 Tessa doesn't gain any extra traits and Izzy gains the Loves the Cold trait. Well, that's helpful in the land of eternal summer. I suppose it could be worse. OH MY WATCHER! YOU'RE NOT A PUDDING FACE! HOW DID THIS MADNESS HAPPEN? YOU'RE GORGEOUS! 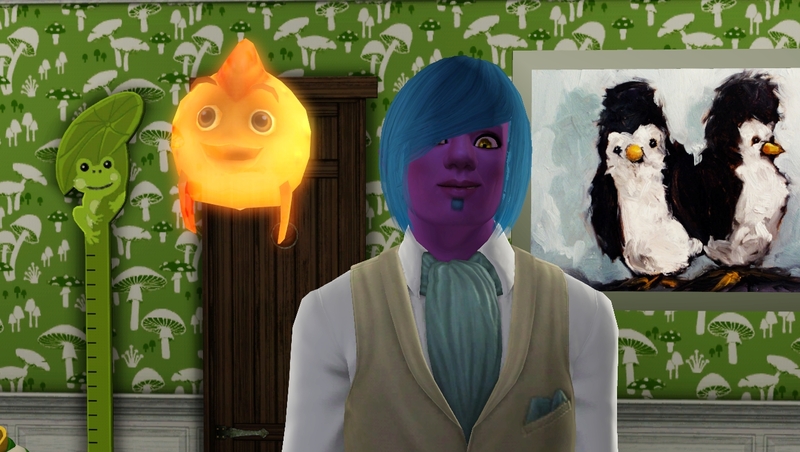 Alright everyone, stand in awe of the beauty of this adopted Sim, who is not an EA pudding face. "Uh... you really give some weird compliments watcher." Shh. I'm enjoying this right now, don't ruin it for me. 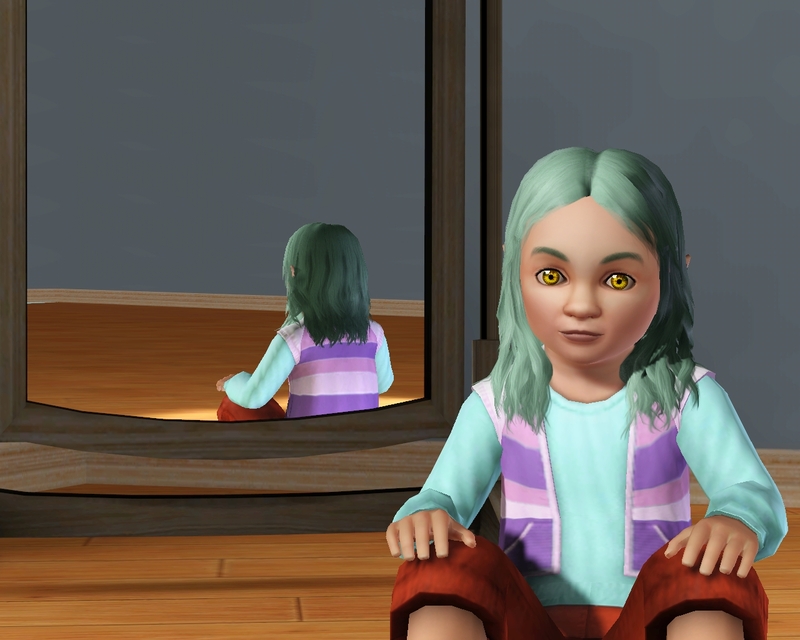 Tessa was up next, and it appears that Ara cursed her when she was born by saying she would look just like her mom, because she doesn't look anything like her mom. Hello Bradan's mini-me! Well, at least you have your mom's eyes. Now, I have several screenshots of this, so I'll just pick the best one and you can all go, "oh, ok!" "Hey, I'm more than just an artist chained to an easel you know! I have feelings too!" Yes, yes, just like Ara has feelings too even though she's slaving in her garden all day. Why is everyone so crazy whiny about everything? Why can't someone be happy that I'm pushing them to live fulfilling short lives rather than waste their time doing silly other things? Why does no one appreciate me?! "Uh, watcher, I think you should probably get on with the update..."
Bradan occasionally decided to take time away from his adoptive daughter's busy schedule. "And so, that is why I am the greatest man on the planet." "Uh huh, that's a great story and all dad, but I'd really rather be painting right now, and I really don't want to paint right now." Ara's bean garden is growing, as is her stomach. "This is miserable. It's so hot outside, my back hurts, this baby keeps kicking me in the ribs too!" I'm sorry, were you saying something? I've just invested in this new headset that's supposed to block out whining. "Ha-ha, very funny, you pathetic watcher. Can I please be done now?" I don't know what you're saying but that is not a pretty face. I'm going to move on now. 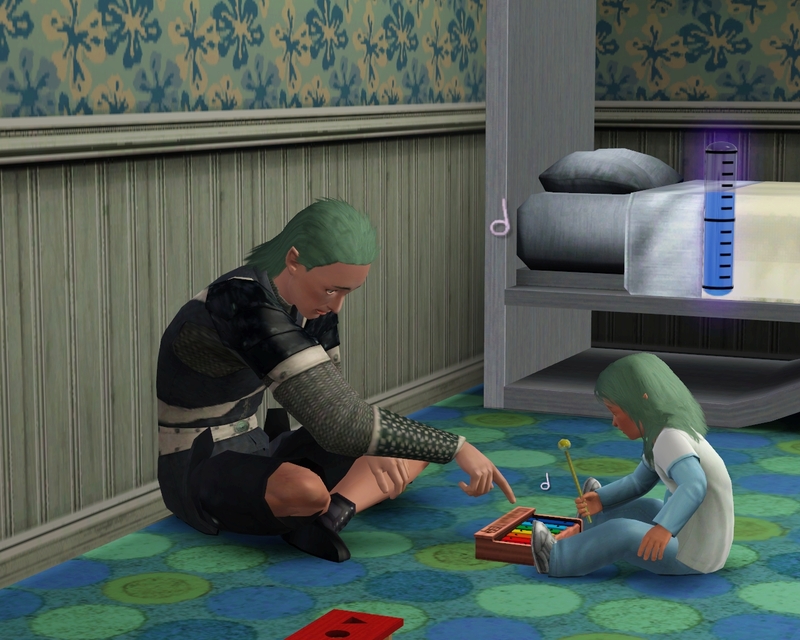 Despite being self-centered, Bradan is actually not a half bad father. "Now, when you're old enough you can play daddy's theme song and remember how awesome he was when he ran out on the field to win the big game!" Oh and great timing, it's Bradan's birthday too. Are you at the gym Bradan, you know you have equipment at home right? "Yes, but my wife is in labor, and the last time she went in labor she threatened to punch me in the gut. I'd rather not let that happen to by beautiful stomach." The beautiful stomach you don't have anymore. "What?! Oh dear watcher! I'm hideous! I can't live like this! This is terrible!" Well, at least you're still rocking that mullet. Anyways, back to your wife. Thus a baby boy was born with the Athletic and Brave traits. 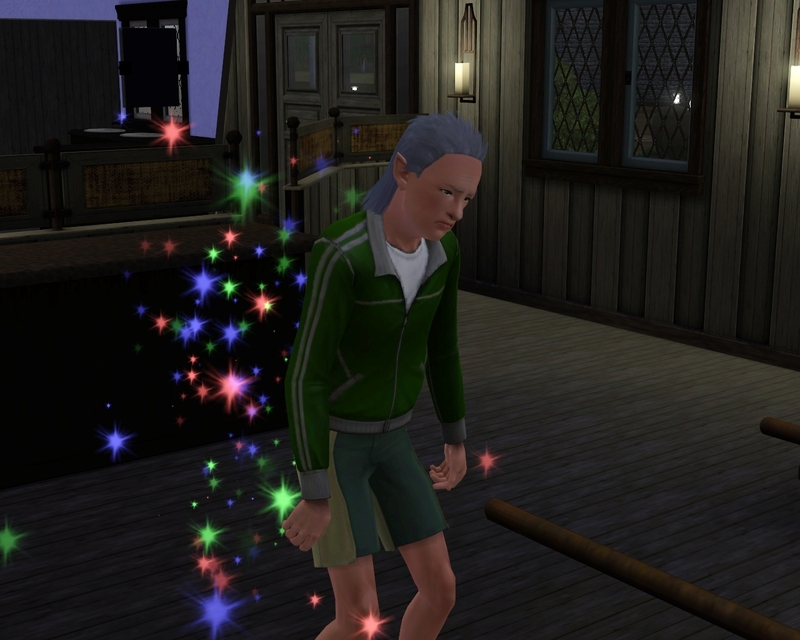 "Oh nooboo, I'm going to name you Aiden!" 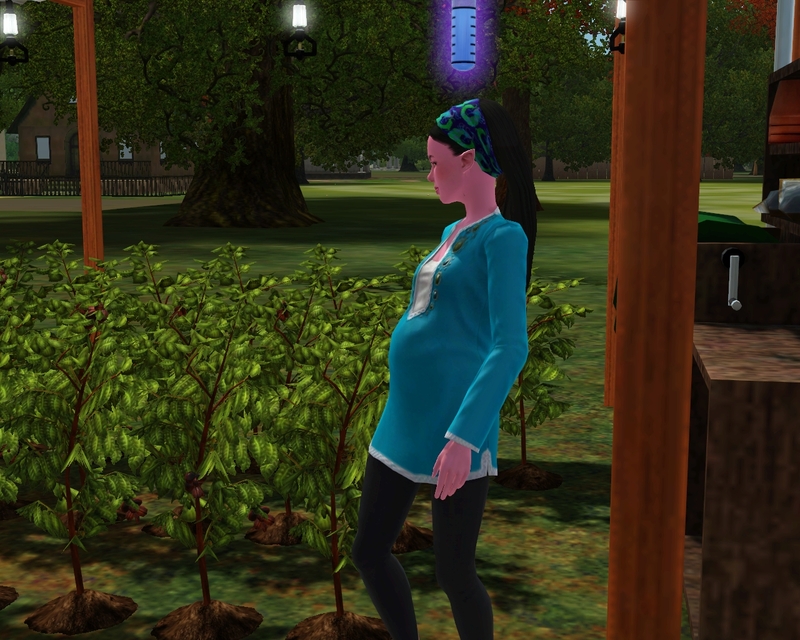 And we have a non-heir boy. You do realize what that means now, right Ara? "Ugh. No, not plan C!" We have to. I'm sorry. Now go age up so you can get pregnant again. Well look on the bright side, at least you didn't have a midlife crisis! "That's the bright side for YOU." Oh... right. Anyways, go make that baby. 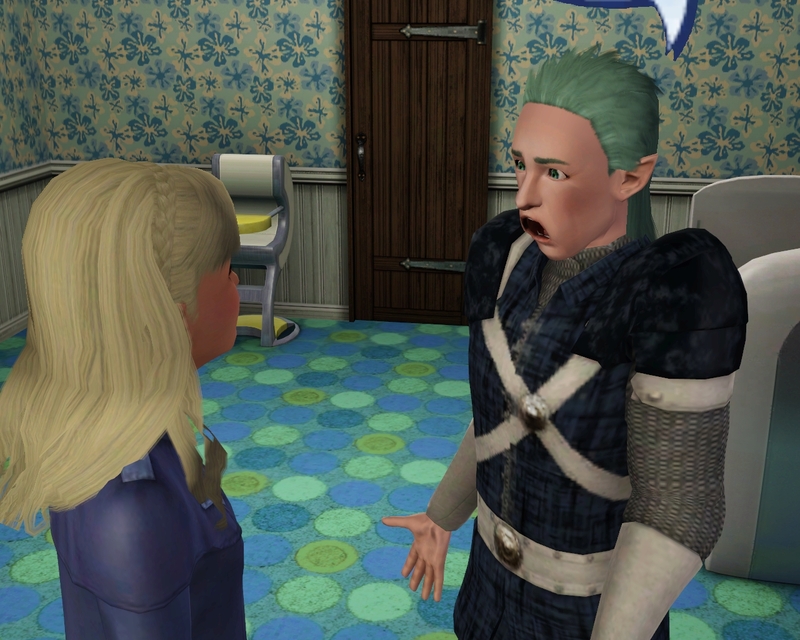 "But... but... Bradan is OLD now. Like, really OLD." "Hey hot stuff, I'm really glad I married a sweet young woman like you." Bradan winked at her. "Hey, you didn't object the last time." "Is that what you were doing when you were snuggling me after? Objecting?" "Oh just shut up and get in the shower." Awe, you two fight like an old married couple too! Anyways, I didn't hear chimes, AGAIN! 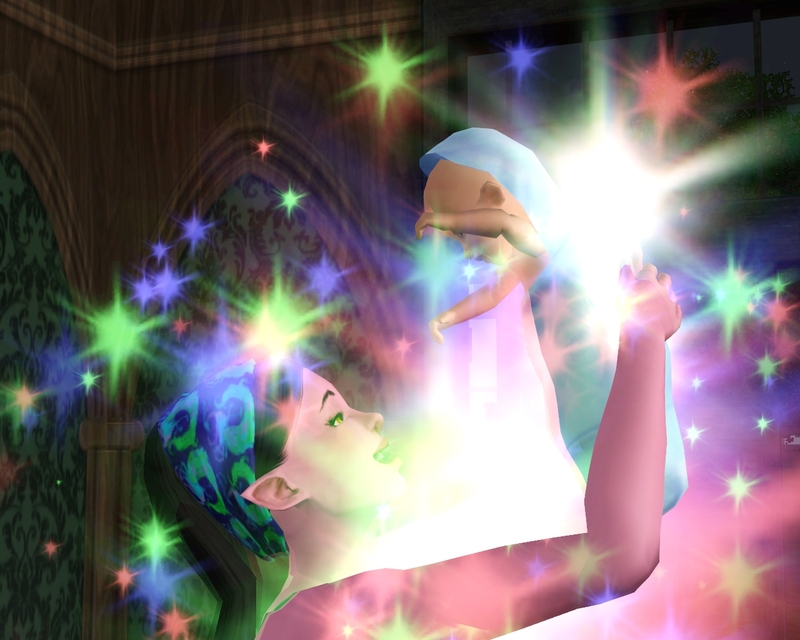 Two more tries later and a lullaby, I send Ara out to complete Plan C. "Why!? Why?! Why do I have to watch this every waking hour of the day AND night?!" We must multiply your babies. I'm not taking anymore chances. You likely won't live long enough to see them grow though, but that's what your beautiful Izzy is for. 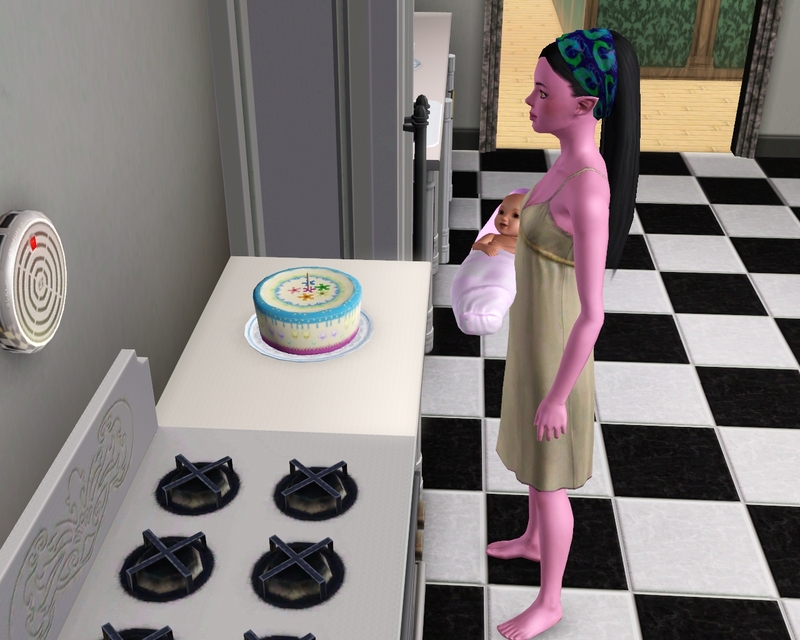 That Family-Oriented trait is going to be super handy when you pop out at least twins, hopefully triplets which is what I'm aiming for. Oh look, Tessa's having another birthday, let's go cheer her on for a few minutes before I sit you back down in front of your TV. "If I could only get my hands on you watcher..."
Yay Tessa! Woo! Stop glaring like that Ara, you'll scare you daughter. 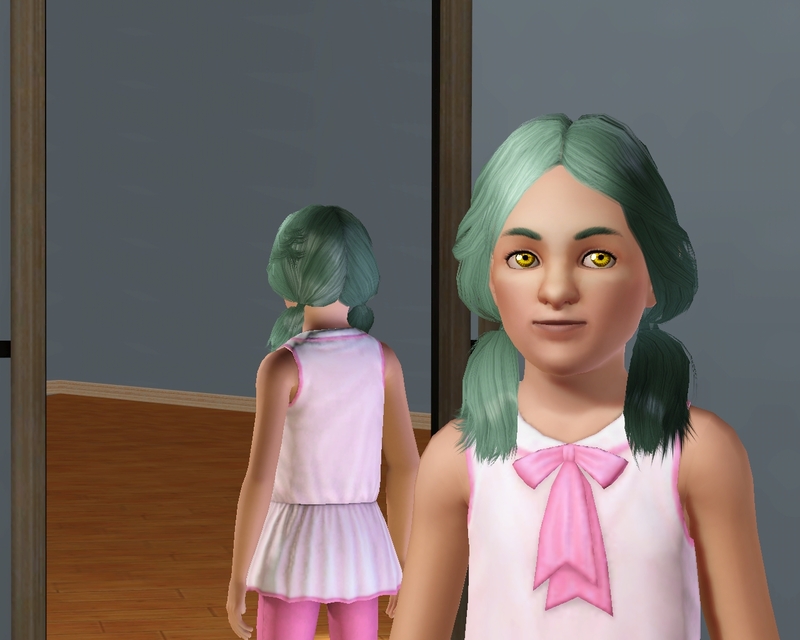 And she ages up to look even more like her father and gains the Snob trait to add to Grumpy and Loner. She's 3/3 on crummy traits. In the nicest of ways, dear. 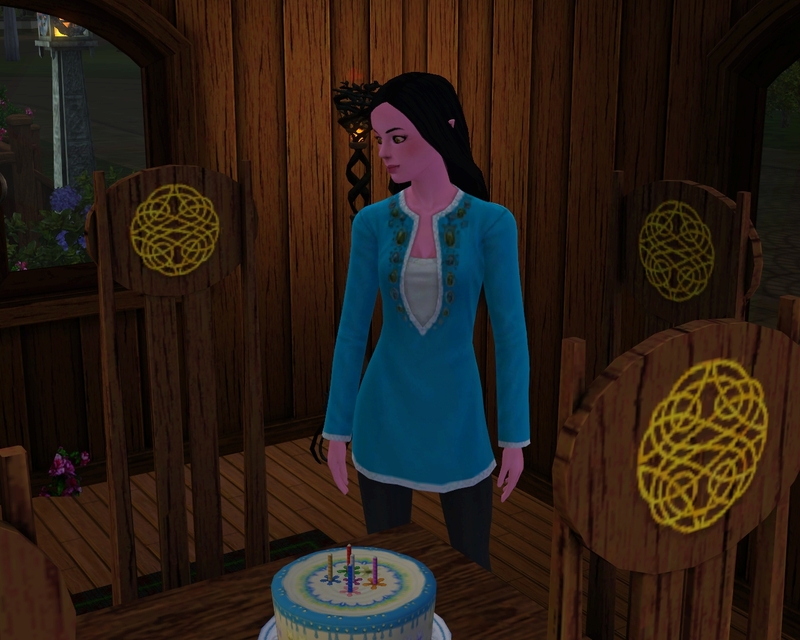 Fingers crossed that Ara gives birth to a suitable heir soon, or I may just go crazy!